This is the car that, if it were to be displayed at a classic car show in the UK, would attract all the attention. 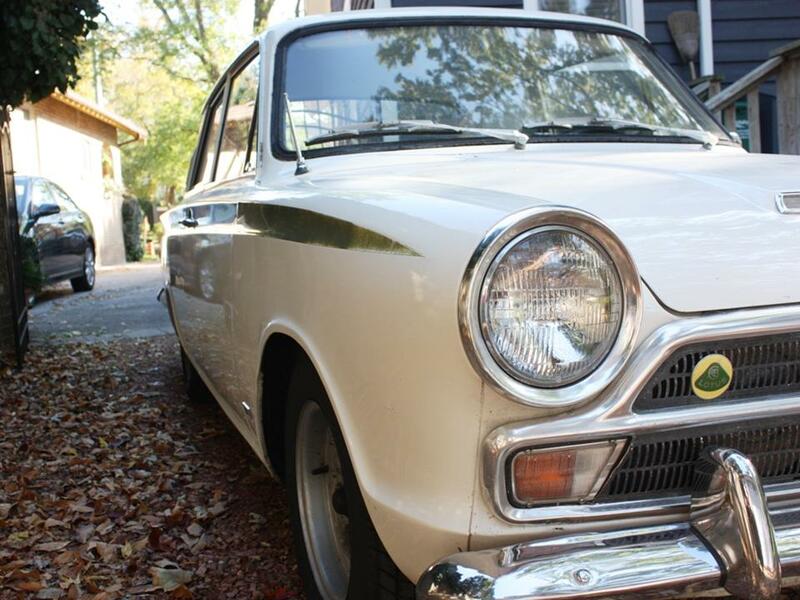 It is a totally original 1966 USA specification Lotus Cortina that has never been restored and has never had an accident. It has also never been undersealed, has no rot whatsoever, and a tiny bit of surface rust here and there. It has never even been re-painted, although has received some touch-up work in the distant past. I think that this is the definition of a time-warp car. The lucky owner is Alasdair McNellan from Oakville in Canada. Alasdair shares my passion for all things Lotus, and this car is a recent addition to the stable. Alasdair’s ambition is to conserve as much of the car as possible, whist making a reliable and fun car to drive. As you will see from the rear licence plate, the car was last on the road in 1979, so it needs all the mechanical and electrical assemblies overhauling. Whist the car was obviously stored well for the last 35 years, it was on the road for the first 13 years, and ran for over 80,000 miles, which makes it’s state of preservation even more remarkable. The bodywork is not going to be restored, but the underside will receive some light treatment to arrest any spread of rust and ensure that the car is conserved for a long time to come. The interior has survived remarkably well considering that it’s been in California for so long, but the dash top and binnacle will also receive some treatment. Note the original loop pile carpets….not many Lotus Cortinas still have those fitted. The only change for the car that Alasdair is planning is one that I think we would all do….that front bumper (and over-riders front and rear) has to go, and be replaced by quarter bumpers. But the parts removed will be tucked away for future use if required.